Flowers have the power to make a breathtaking wedding scene. They are a crucial part of your wedding décor. After all, flowers not only contribute to the look and feel, but set the scent and thus the ambiance for the scene. When the floral décor is done right, the entire venue will reflect the intended mood of the event. However, this magic has to be woven in by the talented hands of your florist. 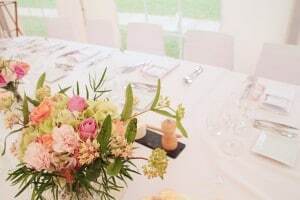 Unless you are a botanist or have grown up with flowers, it is unlikely that you will know all that you need to about choosing flowers on the scale required for a wedding. With so much going on in the world of wedding flowers, with varieties in everything ranging from bridal bouquets to reception décor, seasonal flowers and table centerpieces, just the thought of getting everything right may make your head hurt. If you are like me, you will agree that choosing flowers belongs to the list of tougher wedding planning tasks. 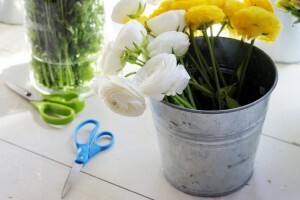 So, you have to trust your florist for her insight and ideas, to get it done right. With so many vendors who claim to be seasoned experts, how do you find the right person for your wedding? Here are the important questions that will help you sort the pile and settle on the florist who will set wings to your floral vision. What role do you want the flowers at your wedding to play? According to this article on How Stuff Works, there are florists and flower designers, and both of them work very differently. 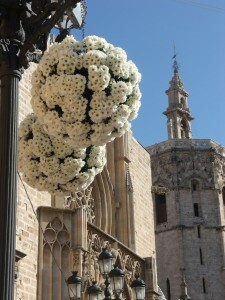 Who you choose, depends on what you want the flowers to do at your wedding. Florists are capable of churning out masterpieces based on the specifications you have. It is usually good enough to create the impact you may desire. However, if you are a full-blown flower fan, and want finer work, and if you look forward to creating more than just a beautiful scene with the flowers at your wedding, a flower designer is a better person for your job. They do come with an added price tag, since they will be working exclusively for you, whereas a florist will be juggling several orders at once. Nevertheless, they are artists who have the expertise to churn out beautiful floral motifs that will go down in the pages of your wedding memories. 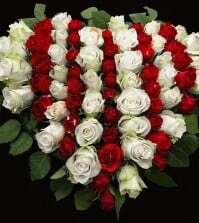 They will also be able to go the extra mile to obtain specific flowers needed to create the impact you desire. So, if you wish to make your wedding a floral extravaganza and have the budget for it, a flower designer is your best bet for the job. Of all the florists I’ve visited, whose store arrangements did I love the most? 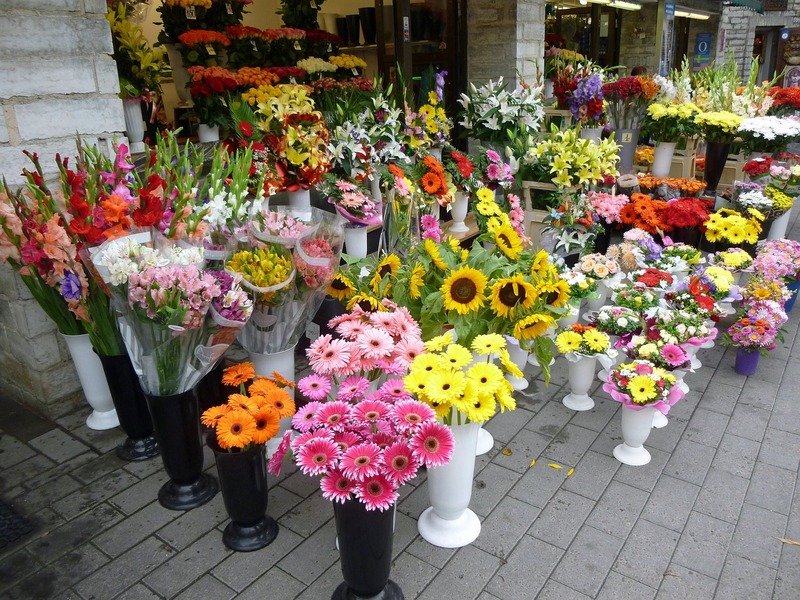 As with choosing any vendor, you should search, search and search for the perfect florist. Obtain references from your friends, look at classifieds and read reviews online. Once you’ve shortlisted those you think will be best, drop in at their stores and look around. This will give you an idea of how organized and passionate they are about their work, more than the pictures you find online. Do you think the flower arrangements in the display window are neat and attractive? Are the flowers fresh and vibrant? Or do the blooms look dull and wilted? Is the cooler section well-maintained? How neat is the shop generally? Do you think the designs are charming, or do they look dated? Shop around and you will get a fair idea of which florist is more organized with her business. You can also take a look at their wedding portfolios to get a complete idea. Does the florist think your budget is reasonable, and what ideas does she have for you? There is no point in proceeding further if the florist’s rates are way above your budget. Ideally, you should choose vendors who fall within your range, and then progress with further analysis, so you can avoid any disappointment. On an average, expect to spend 8 to 10% of your total budget on flowers, if you do not want anything too elaborate. If your initial review of the shop and what you heard from others was positive, you can now proceed with discussing the rest of the details. How does this florist react to your budget and ideas you have? Does she think it is practical to create what you want within the price range? If not, does she have other suggestions for flowers, or can she offer alternate arrangements that will satisfy you, and are within your price range? An experienced florist will know the best options that will work for a certain budget, and will be ready to customize to a certain extent, to make sure her client is happy. If the florist cannot work within your allocated budget or is unavailable on the day you want, you can always ask her to recommend other vendors who will do a similar job. Do you like her suggestions? Different people have different tastes, and finding a florist who shares your taste will help you progress without too many hiccups. You can identify this to a certain extent by simply looking at her portfolio. Also, look at her flower arrangements in shop, and notice whether it appeals to you. 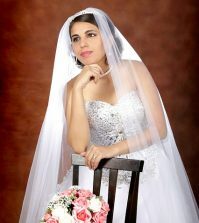 Also ask her for suggestions regarding your bouquet, flower options to consider and designs. It is impossible to go into every detail regarding what you want, so you have to trust her decisions to a certain extent. If you like what she suggests, or the options she provides are mostly appealing, it is likely you will not have any issues with what she comes up with. Just make sure that you tell her not only about your preferences, but also about what you do not want. Some brides do not like carnations in their bouquets, and if you have similar dislikes, make sure you inform her about it. Are you comfortable discussing your ideas with her? 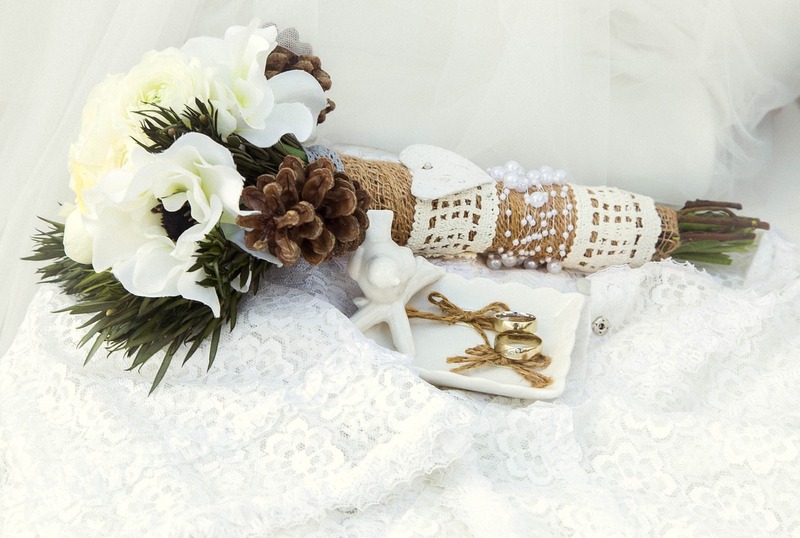 Your wedding décor is obviously important to you, as it sets the mood for the entire day. So, you need someone who understands your ideas and is capable of executing it well. When you talk to a florist, see if she encourages your ideas or is dismissive of what you suggest. If you think she is overbearing or rigid with what she can accommodate, it may be time to look elsewhere. Make sure that you establish a good rapport with your florist, and she can translate your ideas into practical solutions. It is a good idea to take pictures of arrangements that inspire you, when you visit your florist. For this, start clipping pictures off magazines or take prints off the net, well in advance. This will help you communicate your ideas better and you can also be certain that your florist understands what you mean, rather than just assume she got everything required from the description you provided. Is she ready to experiment with your ideas and décor suggestions? Imagine you have this great vision of the perfect table arrangements in your mind, but your florist shoots it down, saying it is too difficult to get right. How disappointing will it be? A talented florist will be ready to stretch a little and take risks, as long as it is what you want. If you think the person you are talking to is too set on her ideas, and doesn’t want to try anything out of her comfort zone, you may have the wrong person for the job. A good florist knows how to work with other décor elements like candles, ornaments and tableware to create a unique statement design. She will also know where to source the extras, like vases and candles, so she can do the arrangements well. If your florist is enthusiastic about what she can bring to your wedding, and how to do it differently, by all means, encourage her. Also find out what extras she can help you with. Will she also cover smaller floral arrangements for the restrooms, create floral favors or petal confetti within budget? 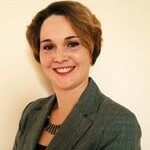 How soon should you confirm, and till when can she accommodate changes? You will definitely need more than one consultation to make sure you cover everything you want, as per your ideas. So, find out when is the latest by which you have to confirm what you want. On this note, you can also ask her if she can do a few samples based on your ideas, so you can suggest changes if any. If your bouquets or décor arrangements will include flowers that are out-of-season, find out when is the latest that you have to place your order, so they are ready in time. Who will set up on site? This is a question that many couples skip, by just assuming that the florist will take care of everything on site. Well, not all of them do. Find out specifically if she or her staff will be handling the decorations on-site personally, or whether she expects the venue staff to take over. If it is an optional condition, does she charge for doing the arrangements herself? How long will it take her to set up? If it is the latter, find out where the flowers will be delivered to. Will she provide specific instructions on how the arrangements are to be done, if she isn’t there to oversee it? 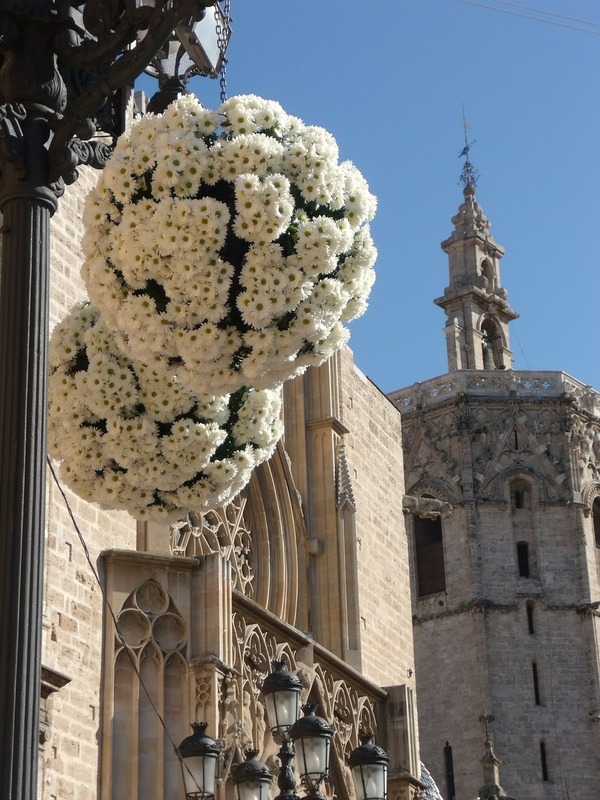 How early will they be delivered and what care has to be taken to ensure the flowers stay in top condition for the wedding and reception? What expenses will her bills cover? When dealing with any wedding vendor, make sure you have a written contract that seals the deal and includes all relevant information. Your florist is no exception. Before you confirm the booking, discuss her charges in detail. Does she charge for consultations, and if so how much? What expenses will you have to pay for? How does she want the bill settled? Will she accept installments or does she prefer a bulk payment? What are the additional charges you will have to incur if there are small or big changes to the original number of bouquets, boutonnieres or centerpieces? What about if the chosen flowers have to be changed due to unavailability? How will the new ones be charged? Also discuss the distance to which she will have to deliver, and what will be the rates for transportation. Are there any extra overheads you can expect? Discussing all these details and including it in the contract will help you ward off nasty surprises in the form of shocking bills in the future. What will she do if she has to cancel? We are all human and you never know when something goes wrong and your florist has to cancel. However, it helps if you are prepared for this worst-case scenario. Don’t hesitate to ask your florist if she has a plan B in case of a contingency. Does she have extra staff who can take over, if she isn’t available? Or will she hand over the responsibility to another trusted florist, who can deliver a similar service? 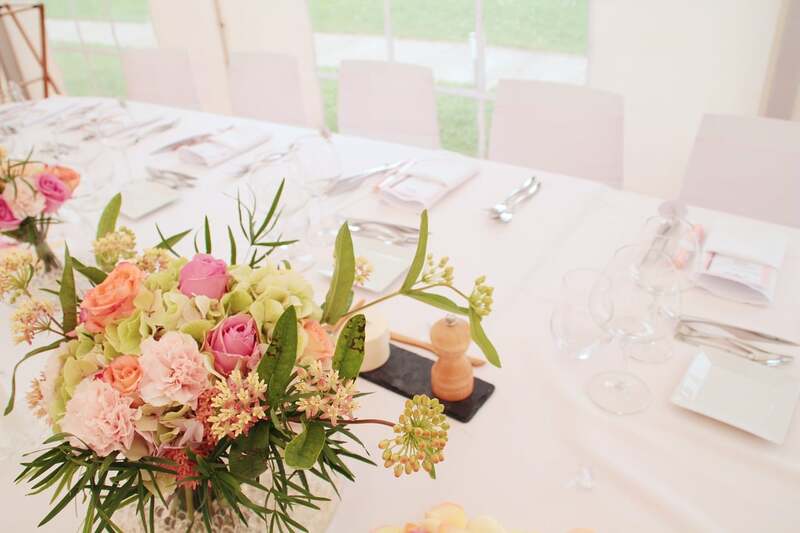 A professional florist will have some arrangement in place, and will reassure you that you will receive your service, despite anything that may happen. 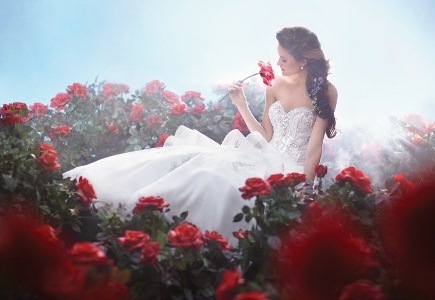 At Best for Bride, we endeavor to bring your floral vision to reality. Find inspiration for splendid centerpiece arrangements, bouquet ideas, boutonnieres and venue decoration, at our gallery. We also offer customized plans to cater to your specific theme and creatively design to meet your expectations. 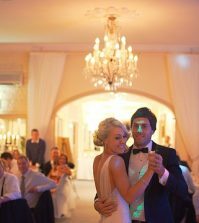 Whether you would like a formal, casual, classic, modern or traditional theme, we have hundreds of options for you to choose from. In keeping with our overall vision of celebrating love and weddings, our floral services also strive towards the same goal: making your dreams a reality and having the perfect wedding you always wanted. Visit us on Best for Bride today for an awe-inspiring gallery of beautiful designs. You can also shop for your wedding dress, pick outfits for the entire bridal party and getting everything wedding-related with us. I like the fact that I can give them my budget and they can see where it will get me. Let them do the hard work, I just pick the flowers and see what happens! I would have never thought that florist or flower designers would be that different. I think I am just going to save this money and choose the flowers myself.